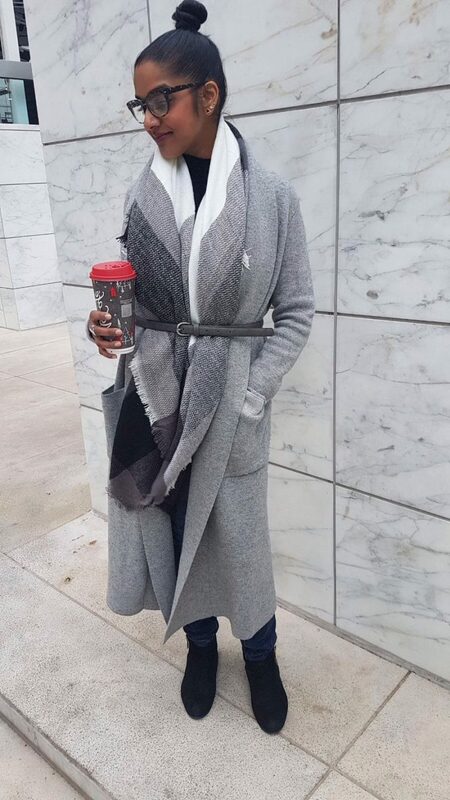 Before we move on looking through the best tips and tricks how to wear this accessory, I wanted to make it clear and tell you what is a blanket scarf, this is a thick and oversized thick scarf in the shape of the square. 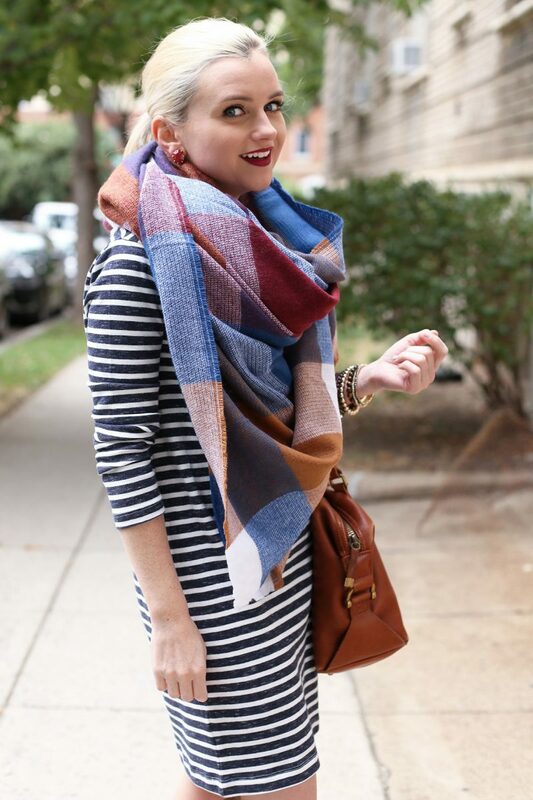 So, the first style you can recreate with a blanket scarf is called the loop. 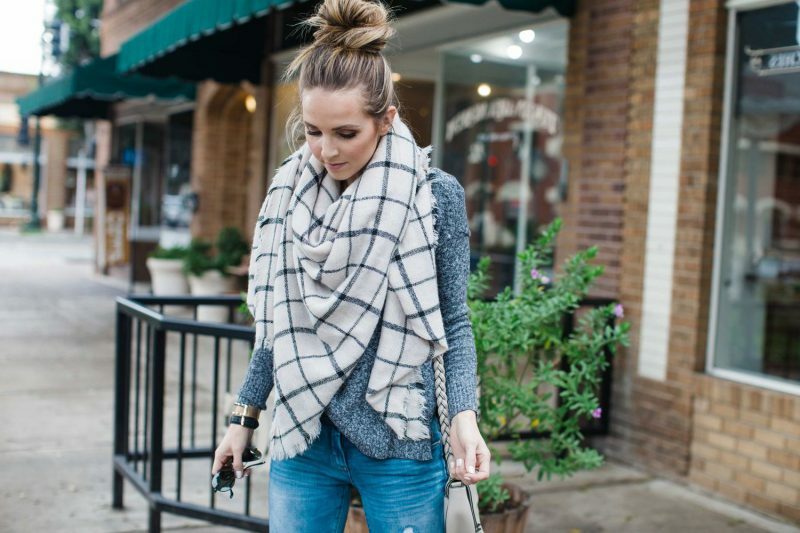 It’s a classic and traditional method that works with long and oversized blanket scarves, all you need is to fold it in half, gather together, place around the back of your neck (leaving one side longer than the other one), then take the long side and wrap it around the back and bring back to the front and slip it through the loop. It does look awesome and can be styled with black or blue jeans and a cool biker jacket, or with a long sleeve top. 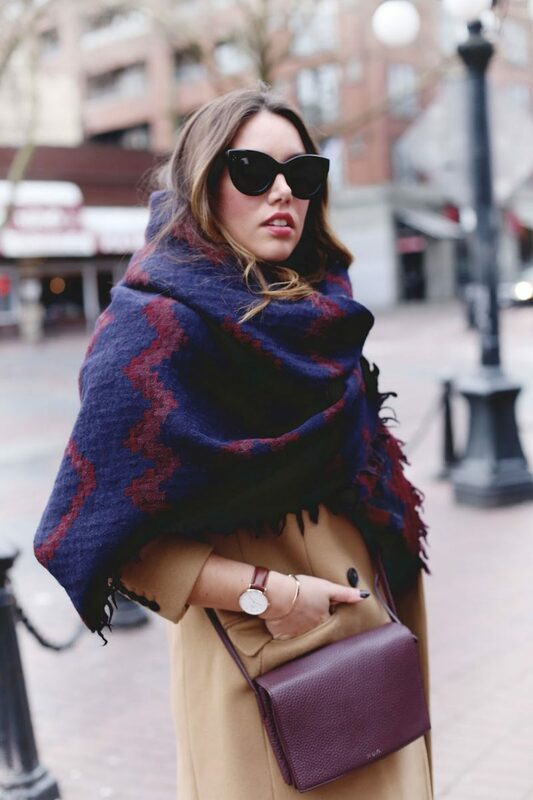 Next style to try with a blanket scarf is called poncho. 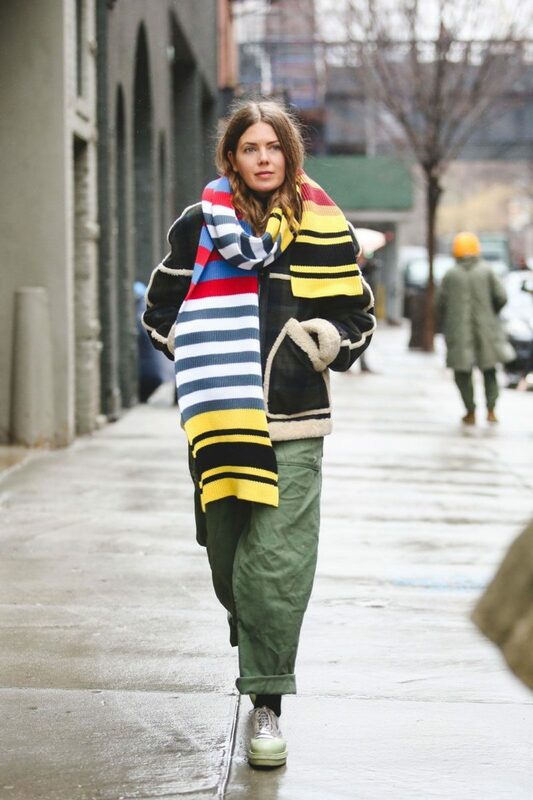 An ideal choice for oversized designs, as you can wrap up in it and stay warm no matter where you go. 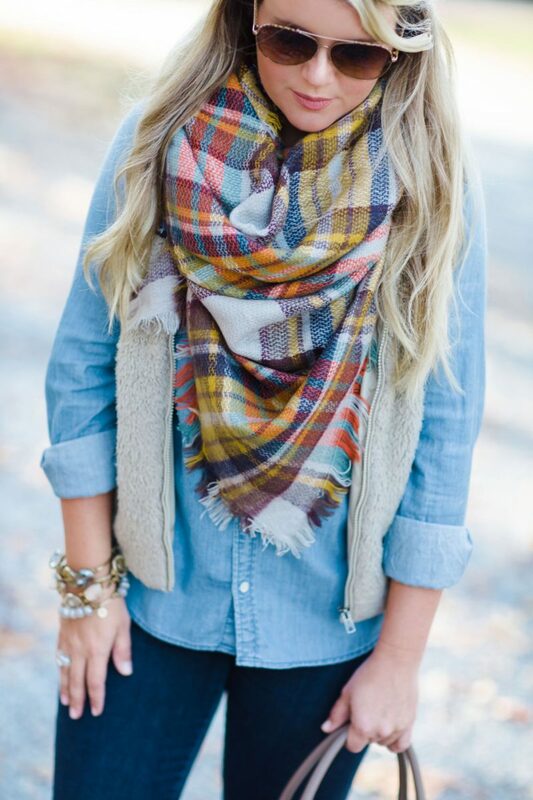 You need to hold the scarf out wide, scrunch the top a bit to fold the fringe under and drape it over shoulders by bringing it around so the ends are in front. Wear it over a blouse, tunic, dress or over outerwear pieces. 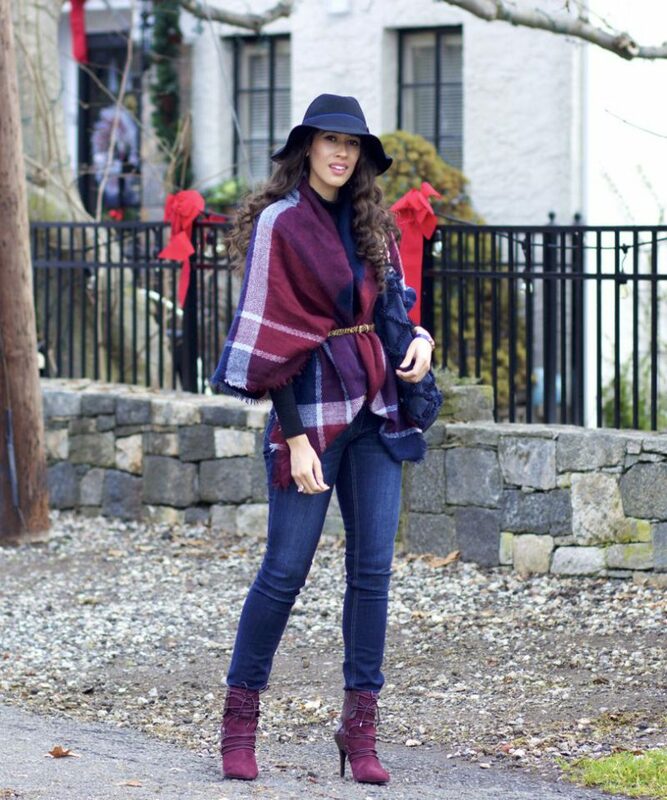 Another great look is the kerchief. 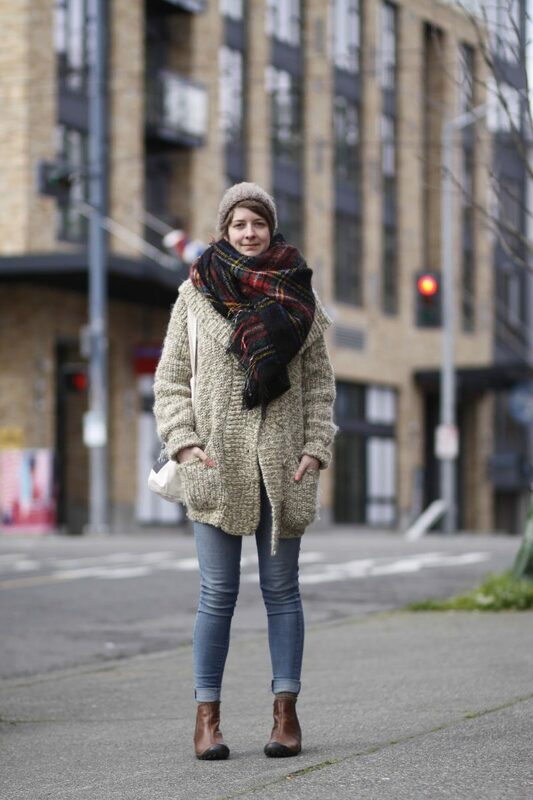 You need to fold the scarf across to create a triangle, then grab two ends and cross them behind the head and pull them around to the front and tuck two ends under the rest of the scarf. 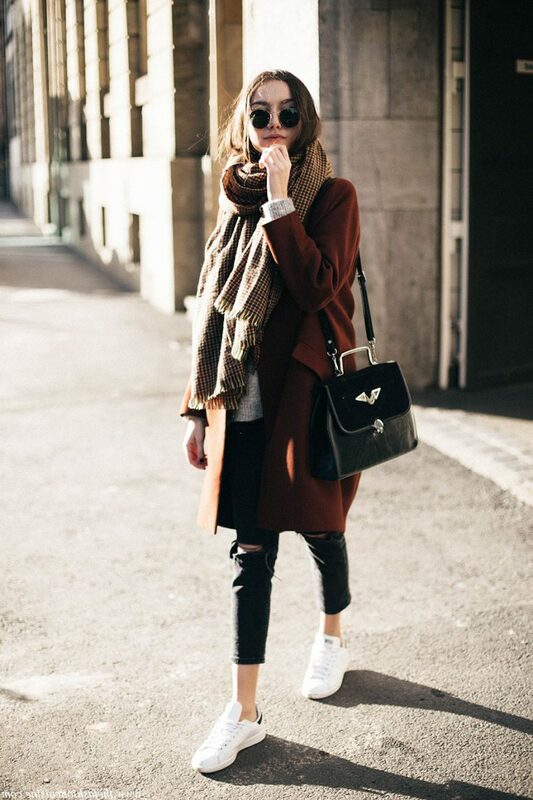 As you can see, it’s pretty easy to change your look simply by tying the blanket scarf in different ways.